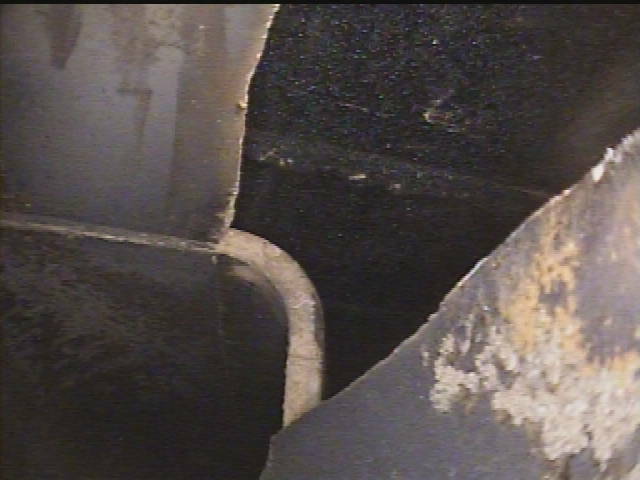 The following pictures show problem areas found on the inside of several different chimney flues. 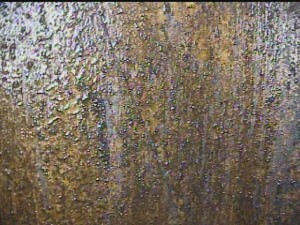 All images were captured utilizing our state-of-the-art “Chim-Scan” video camera equipment. Vertical cracks in two separate terra-cotta flue liner sections at their connecting mortar joint. This fire was severe enough to crack and displace a piece of the terra-cotta liner section exposing flue gases and heat to the surrounding structure. 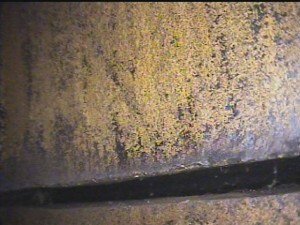 All of the mortar is missing at the joint connecting these two terra cotta flue liner sections. 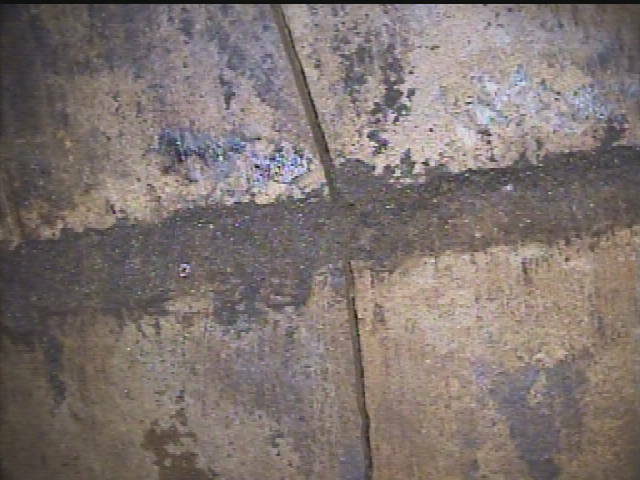 This is usually the result of poor construction methods, improper cement mixtures and or deterioration due to age, use and moisture penetration. 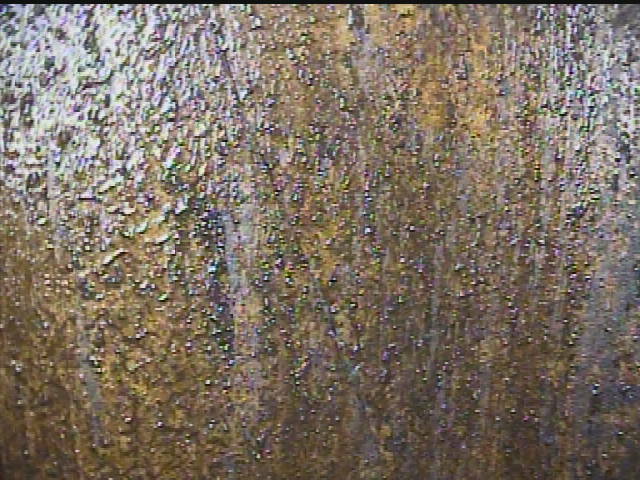 This heavy tar-like substance known as creosote, is the result of burning wet wood, lack of/and or improper maintenance and a variety of other factors. 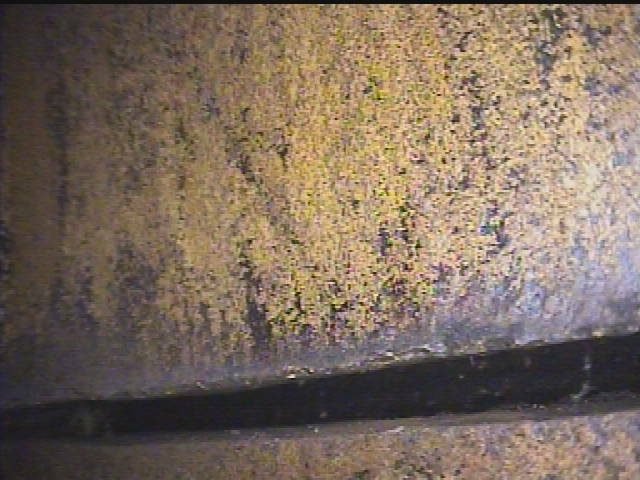 Creosote is highly flammable and corrosive it should be removed to help prevent chimney fires, mortar joint deterioration and foul odors. Notice the hairline crack from a previous chimney fire. 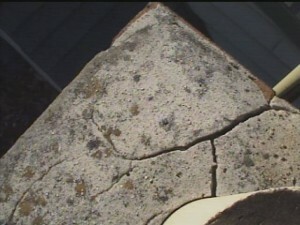 The cement crown on the top of this chimney shows advanced cracks and deterioration. This should be addressed to prevent further damage to the chimney and possible costly repairs to the structure of the house connected there to.